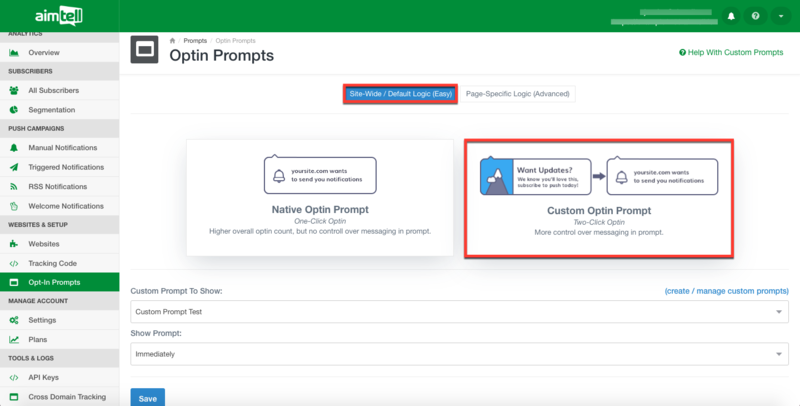 This article will explain how to add a custom opt-in prompt to your site. 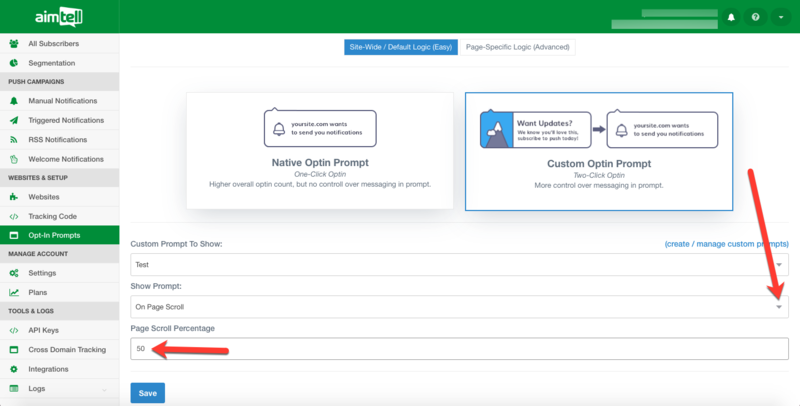 The custom opt-in prompt can be found on your Aimtell dashboard. On the left hand side, under “Opt-In Prompts”. 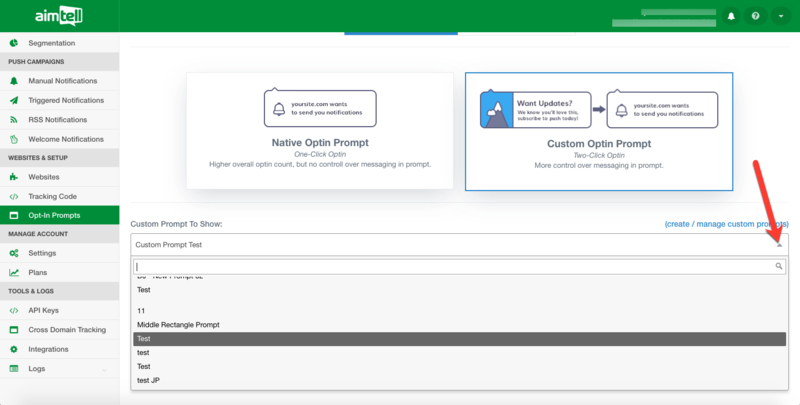 When setting up a Custom Opt-in Prompt there are two different ways to do so. The first option is the “Site-Wide / Default Logic (Easy)”, and the second option is “Page-Specific Logic (Advanced)”. Let’s start with “Site-Wide / Default Logic (Easy)”. Select “Custom Option Prompt”, then select “Site-Wide / Default Logic (Easy)”. Select which Custom Prompt that you would like to show from the drop-down menu. Select when you would like your site to show the prompt. 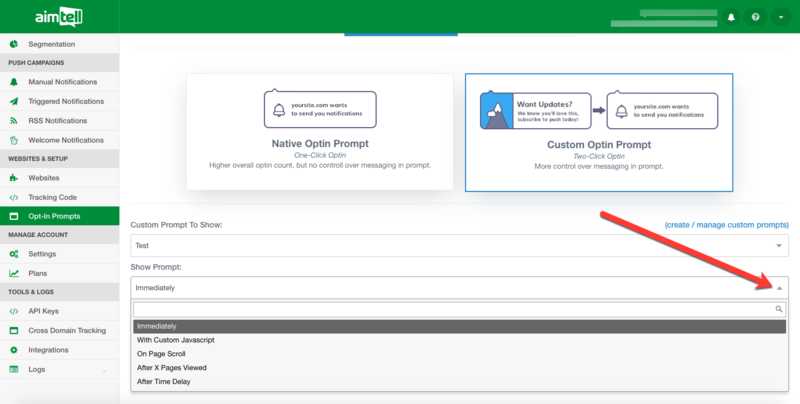 Immediately: This will make the Custom Opt-in Prompt appear immediately once the individual arrives on your site. On Page Scroll: If you would like a certain portion of your page to be viewed before showing the prompt, all you need to do is select this option and add the percent of the page you would like to be viewed. 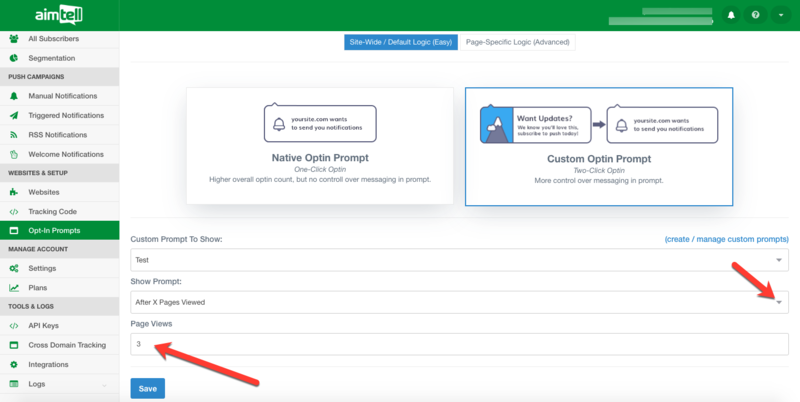 After X Pages Viewed: If you would like the opt-in prompt to show after an individual has viewed a certain amount of pages, select this option then add the number of pages you would like the user to have to view before the opt-in prompt. 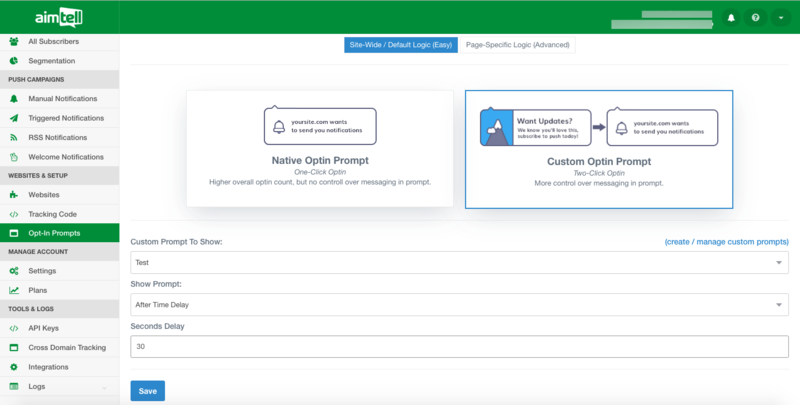 Click save and you’re done setting up your Site-Wide / Default Logic (Easy) Custom Optin Prompt.